Looking for web design, website redesign, development, marketing, SEO, PPC, creative design, logos or print design? Look no further. We are a full service agency for window cleaning businesses and offer everything from starter packges to full service packages. At 3plains we know professional looking window cleaning websites that not only look great but will have customers looking to get their windows cleaned coming to you is important for the growth of your business. Our services don't end at websites we also do custom logo, print design, and of course most important SEO services to have your customers coming to you in drives! Trust me owning a window cleaning services myself there is nothing better than customers coming to you with minimal effort on your part. The important question you have to ask yourself is do you want a pretty page that your customers can only access if you know your address? Or do you want a website that every time a customer types in “town name window cleaning” you pop up on the first page of Google and from my experience at the top of the page! Face it if your current window cleaning website is not on the first page of the search engines you are missing on TONS of customers, let us help you change that taking your business to the next level. Get noticed by your customers! Branding in the window cleaning world is important and you want your customers to remember you and what better way than a custom logo. When I first started cleaning windows for a living in college I remember how cool my first employer’s logo was, no one else in Minneapolis had anything that memorable. A custom window cleaning logo is not only important for your advertising on your website, but also on print ads, direct mail, invoices, and vehicles. Face it many customers are going to get multiple estimates when looking to get their windows cleaned, how are you going to differentiate yourself from your completion? A flashy logo on the top of your invoice might do just that for you, by looking like you are more professional from your completion might be the difference between that phone call to book and never hearing from that customer again. 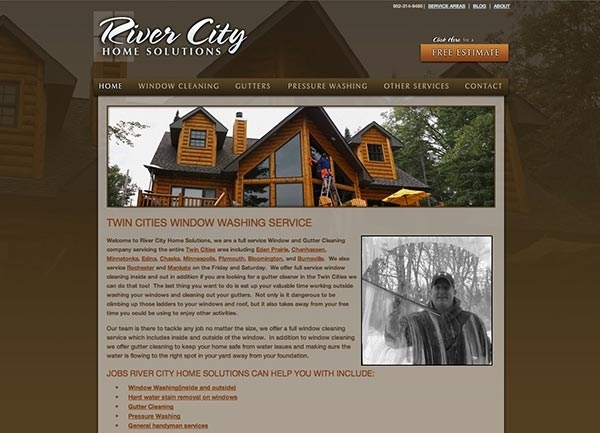 Website design for window washing, gutter cleaning, and pressure washing. Owning a window cleaning business is a huge task as we know from personal experience and having to design a website is something that is best left to the experts at 3plains leaving you time to do what’s important in your business and not being stuck behind a computer learning a new trade. At 3plains we design websites and manage websites already in the window cleaning industry and we know what works. Our goal is to have a site that is strong enough to draw the customers to your site through search engine results and once they are on your site make it easy for them to get the information they need and contact you to set-up an estimate. The really nice thing about a good website is almost all of my customers contact me via email and provide me all their information so for many jobs when I contact them back I already have glanced at their home online and can give them a good idea on the cost for the service they request, this is a HUGE time saver. Ranking on the first page of Google is huge for your business. Lots of business owner’s thing building a website is all about getting up something that looks good that they can link to off their marketing efforts for the customer to see. As much as that is important being able to cut out the “marketing efforts” out of the mix will not only save you time and money but also open up another avenue for acquiring window cleaning customers that you previously had missed. Not showing up on the first page of google means odds are you will never be seen by potential customers. But if you do land on the first page for what your customers are searching for your phone will be ringing. During the busy season you will be swamped with work requests if you have a good placing website, this spring I am so busy with work requests while trying to service my existing customers I am actually turning down about half of the requests I am receiving, I simply cannot handle the volume that is coming my way right now. Why is this happening for me? Well I have spent the time to ensure I am ranking not only on the first page of google for 20 targeted communities but in many cases I am at #1, coupled with a nice looking site many of my customers never get past my site to see who is below. SEO for window cleaning is important since you are targeting customers in certain locations and the nice thing is you know exactly what they are searching for, YOU. 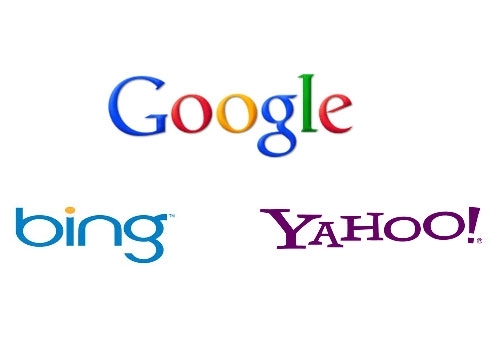 Let our SEO services make sure you are landing on the first page of Google so you are the easy choice for anyone searching for your service in whatever town you operate. Mailers, Brochures, Door Hangers, and Business Cards. We all know how important it is after you cleaning the windows on your customers home which of course they are thrilled with your work it is to start working on them spreading the word about your window cleaning business. 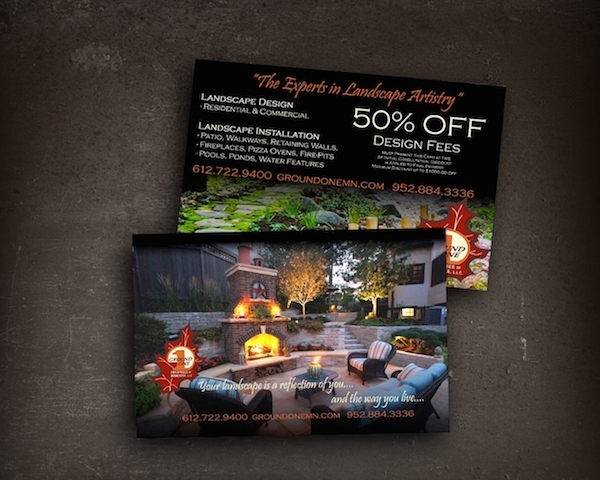 A sharp business card, magnet, or brochure that they can pass on to their neighbors and friends is a huge way to build your business even more. Face it gaining a customer via the web is cheap to do, but word of mouth is virtually free and we all love those calls. Make it easy for your customers to spread the word and make sure those materials you are leaving are going to be memorable once they are passed on to a new potential window cleaning customer. Why is 3plains right for you? We have worked closely with residential window cleaning companies since 2009 as the owner of 3plains has good friends in the residential window cleaning business since 2007. With the mixture of knowledge of window cleaning and the ability to drive your website to the first page on Google, let 3plains transform your website and start increasing your sales today.